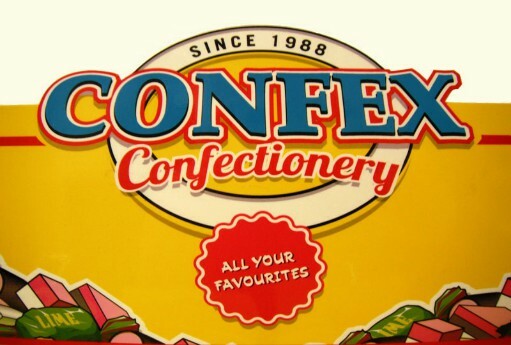 Established in 1988 by David Butterfield in Huddersfield, we are manufacturers and trade suppliers of bagged sweets across a range of price points. The Confex range covers many market sectors whilst focusing on maximising profitability for the retailers. We are specialists in retail bags and can therefore offer one of the widest ranges available, giving the retailer the big advantage of regularly changing the flavours on display. With our 25 years of one-to-one dealings with the retail trade, we feel confident that our product range together with a carefully thought out on line ordering system is a winning combination. Customers include independent wholesalers, buying groups, garden centres, hospital shops, tourist attractions, garage forecourt shops, newsagents, off licences, post offices and many more. We are however, as it is only fair to our retail customers - TRADE ONLY. Our range is produced on our own premises ensuring the best value for money you are likely to find anywhere. We also provide a contract packing service at very competitive rates - please contact us to discuss your bespoke packaging requirements. ...MEANS YOU CAN ORDER WHEN IT’S CONVENIENT FOR YOU. WE CAN SUPPLY A £30+ VAT TRIAL ORDER. WE’LL STILL DELIVER IT FREE, AND YOU’LL STILL EARN 30% PROFIT ON RETURN. PLEASE PHONE OR EMAIL TO ARRANGE. NOW IN TWO SIZES, WITH AN ORDER OF £120 + VAT. SEE RETAIL DISPLAY PAGE FOR DETAILS. PLEASE PHONE TO ORDER.